You can design models in Simulink®, generate code using Simulink Coder™, and run the resulting executables on the BeagleBoard.org® BeagleBone® Blue board. This low-cost, single-board computer is specifically designed for robotics, mechatronics, and controls. Students, educators, and hobbyists can use this support package to create algorithms for robotics applications and design embedded systems without using manual programming. They can verify their algorithms in simulation, and then (using industry-standard automatic code generation) implement them as standalone executables on the board. The BeagleBoard.org BeagleBone Blue is a low-cost, single-board, open-hardware computer specifically designed for robotics, mechatronics, and controls. 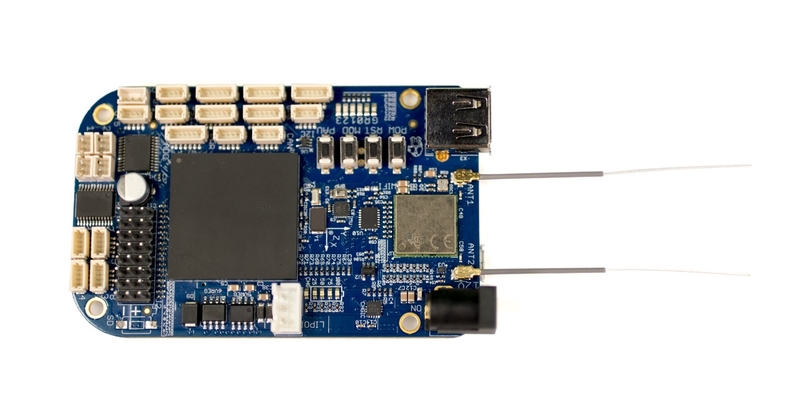 Designed in partnership with the UCSD Coordinated Robotics Lab, this board features an Octavo Systems OSD3358 1GHz ARM® Cortex®-A8, integrated IMU, motor drivers, battery management, and more. BeagleBoard.org and BeagleBone are trademarks of the BeagleBoard.org Foundation. The BeagleBoard.org Foundation is a US-based non-profit corporation existing to provide education in and collaboration around the design and use of open-source software and hardware in embedded computing.